the Deepster's Dizziness » Blog Archive » Moonshine…. Just thought you artsters should check out the uber talented artist, Effy Wild. 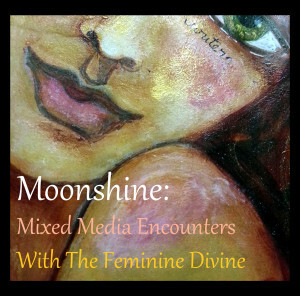 She has a new online workshop on the more spiritual side of art journalling, called Moonshine. To quote Effy, Moonshine is a “seasonally driven spiritual painting programme that will enfold you in the stories, power, and beauty of the feminine divine. Moonshine runs in quarterly sessions” and starts on 1 May. She’s the kindest, most generous and open soul so go check her out. Go on – now! I can’t wait to start, how about you?